There's a new trio of EOS lip balms- in an Alice in Wonderland Disney collection. As soon as I saw this on Pinterest a few days ago, I knew I'd be on the lookout! I think the set was around $7. The flavors are new- vanilla, watermelon, and blueberry. I've only used the blueberry so far, and it smells very fresh & realistic! I've always been a fan of these lip balms for their non-greasy, yet hydrating feel. They make nice lip primers to smooth out the lips before liner or lipstick. I don't know if you can tell, but when you twist on the cap, a Mickey Mouse head appears on the side (in honor of the special Disney edition). Just wanted to give you a heads up on that, in case you're an EOS lip balm fan like me! (FYI cat owners- if one of these turns up missing, your cat has probably adopted it as a new toy). ELF had a new special display with some nail polishes, brushes, tools, and some little eyeshadow kits. The packaging is a little different, and everything seems to have that fall, animal print type vibe. 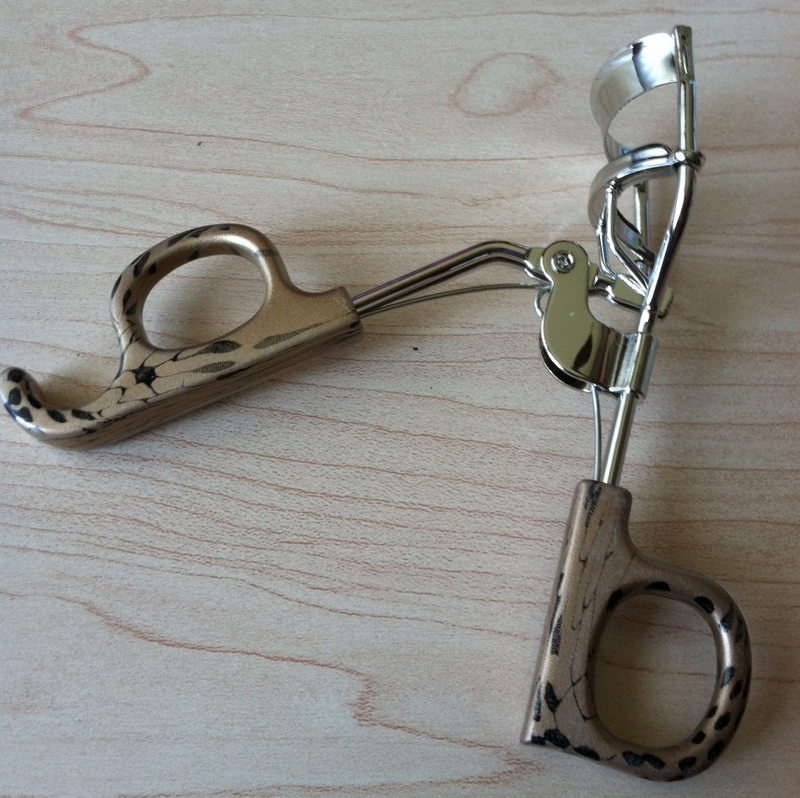 I picked up a new lash curler that has a reptile-ish design on it. I love the ELF $1 lash curler, and this is basically the same thing, only it's $2 (I guess for the fancy look). Above- the box & the palette. Have you seen any new fall collections that you're excited about? Do tell! Last night I made something called Buffalo Chicken Garbage Bread- found it on Pinterest (where else). It was spicy, but so good! Our morning newscast (News 3 This Morning) is expanding- starting at 5:00 am instead of 5:30, and running 'til 7:00. Today's wakeup time was 1:00 am. Goodness I hope I can keep this up! Today Mom gave me the heads up that the ladies on The Talk on CBS were going makeup free. Watched the show & it was refreshing to see people on national TV being comfortable without makeup. The whole studio audience was also without makeup. There's probably a bit of an added "comfort level" with this makeup-free day when you're surrounded by all makeup-less people. Go out into the everyday world and it might not feel the same. How do my fellow makeup-lovers feel? I'm comfortable baring my face in front of thousands for my tutorials, but I genuinely enjoy applying makeup and the creative process behind it. But I guess they weren't really trying to get people to give up makeup (I'm sure the hosts will be wearing it again tomorrow!)... but rather, not feel like they absolutely need it. That's cool how they went without makeup on tv, but I agree with you. I'm totally okay with going bare faced, it just brightens up my morning when I get to apply makeup and try out new products and colours. I'm more into makeup for the creative and fun side of it :) and that EOS Alice in Wonderland set is a nice surprise, you'd think they would have released it closer to the movie release. That Disney eos set looks so cute, wish we could get them in the UK!! 1:00am? Oh dear... I don't know how you keep that up! 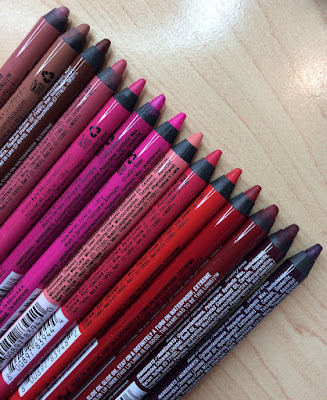 I'm so excited about the new LE Fall 2012 collection of the Maybelline Color Tattoos. I recently discovered them and I LOVE the new neutral colors. The only problem is every single store is sold out of them. I was able to snag the last two of Mossy Green and Barely Beige, but I'm hoping to get my hands on the other two at some point this season. 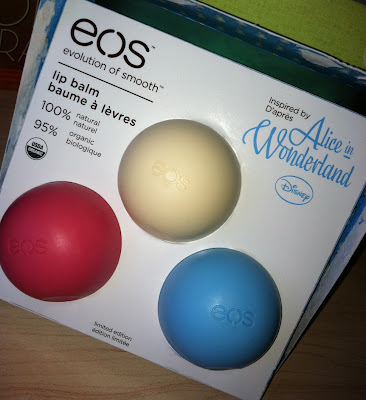 I purchased the EOS "Alice in Wonderland" trio as well. No joke, the FIRST thing I thought was, "I bet I'll be seeing this on Beauty Broadcast!" Love EOS products! The shave cream/lotion is also a-mazing. Hope you feel better soon! (semi) Retail therapy! Yup, that works for me too! 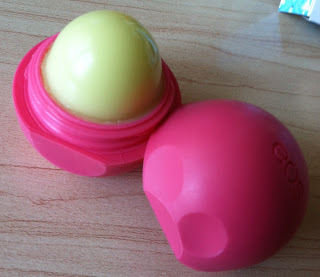 I am super excited about those new EOS lip balms! I somehow lost a couple of mine while traveling so I've only had my strawberry and lemon drop ones to hold me over. I hope I can find the Alice in Wonderland set in Canada, so far I've only seen 4 flavours where I live... And here's a little story: my little dog managed to get in my purse that was on the kitchen table, get my EOS honeydew, unscrew it and ate it all!! It was brand new and when I bought another one she kept smelling it in my purse and wanting it! Funny little one! That ELF set looks really cute, but that's a letdown about the sheer colours! I love the ELF Brightening Eye Color quad in Day 2 Night! Looking forward to the E.LF. 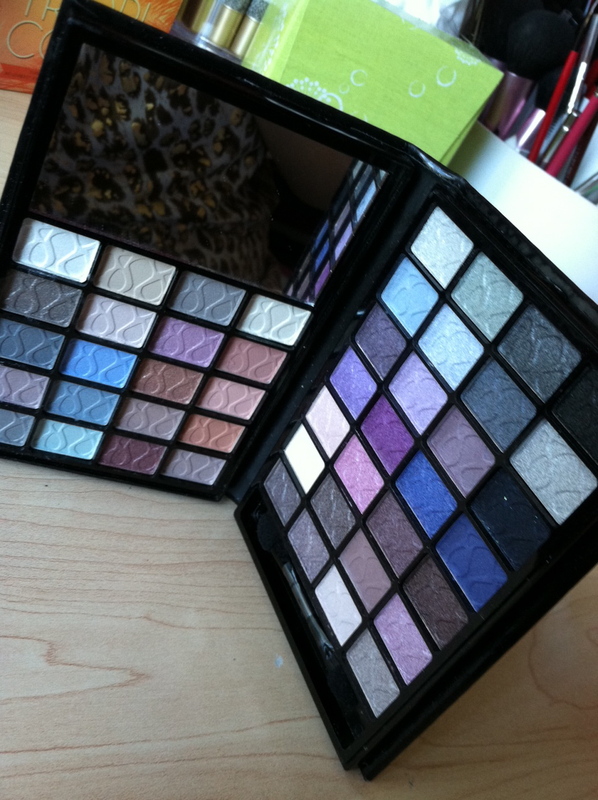 Shadow palet review! Ooo. I LOVE Disney..& Target! I cannot wait to try! The idea of people on TV not wearing make-up sounds interesting, but as you suggested I also doubt that they would do this more than once in a blue moon. I haven't had any make-up on for at least 8 or 9 years; I sometimes wore eyeliner (khol) on my waterline and I used to use face powder every day, but that stopped at some point and now my eyes are so super-sensitive that I can't put on make-up - they won't even tolerate face powder. Not that I put that on my eyelids but there's always a little fallout from the brush getting in my eyes and that's already enough to make them burn. I know there's some "natural" cosmetics out there, but even those with the label "ophthalmologist approved" won't do. Thankfully I don't have many skin issues, so it's not that bad to go bare-faced; but sometimes I do wish I had the option of "making myself look glamorous". Aww too bad about that beauty book. The packaging was cute too! That's really weird that the COOL edition of the little black beauty book had such poor swatches. I just ordered the WARM little black beauty book and the swatches were AMAZING. They are beautiful and so pigmented. I have to get that EOS trio! It's so cute! OTW to Target in ten minutes to pick up that EOS set! Plus I haven't been in a while to check out the make up in general :) Also have to stop by a drugstore to get some WetnWild products. I really wish either my Target or Walmart would carry WetnWild. 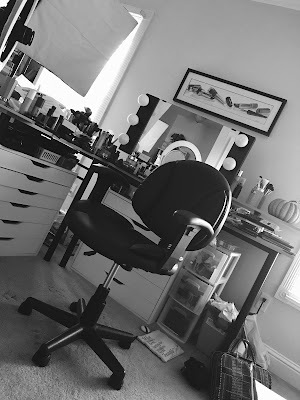 I just wanted to also ask if you have ever considered doing a "Spring Cleaning" type of video where you have gone through your make up and decided that it was time to get rid of something because you just didn't like it or will probably not use again because you've found something better? Or a video where you go through and find products you probably won't repurchase not because of its quality or just not working but because you've found something better or that you just find you don't use it enough because you've found a replacement for a better price. You might still like the products but you can't imagine repurchasing for whatever reason. I love your blog and videos! I even have gone back to view old posts and videos because they are still entertaining or informative! Thanks so much for doing this! I went to target the other day and decided to pick up one of the new nail polishes from the ELF fall collection and loved it! I think it might be a dupe for OPI's Don't Pretzel My Button, from their Fall Germany Collection! Needless to say, I love the color and the price and will be using it a lot this fall!! Dump the EOS and try Buddha Balm. Much better all around. Haha, loved the cat owner comment. My cats have taken these as toys many times! I was suggested this web site by way of my cousin. I'm now not positive whether this publish is written by him as nobody else recognise such distinctive about my problem. You are wonderful! Thanks! Thanks for swatching the Little Black Books. I was thinking about purchasing them but was still on the fence. This made my decision easier. I have got the previous version of the elf beauty school little black beauty book in "cool". That has eye shadows and lippies instead of the new one that's all eye shadows. That particular little black beauty book is one of my favourite elf products as almost all the colours were really pigmented and lasts all day! 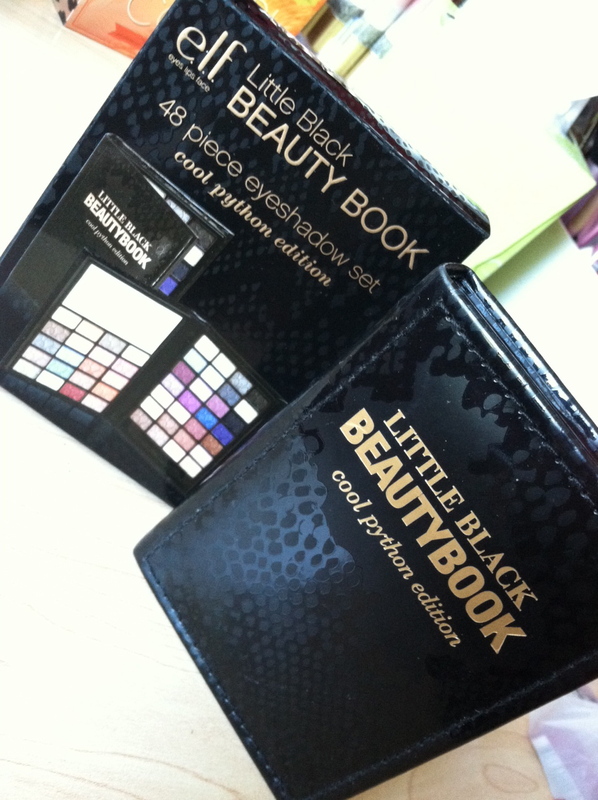 I bought the Little Black Beautybook in the Warm Python Edition and the swatches are creamy and rich. I am extremely happy with it. I love the garbage bread! So easy and yummy! Emily, having problems with my ELF curler... My lashes ( or eyeliner...) seem to stick to it? I also wonder if the "seem" in the pad is the problem. Any thoughts on this? I bought the elf python collection nail polishes. They are really good especially for the $2 price tag. They went opaque in 1 coat :). I'm glad I didn't get the eye shadows now. Eos is coming out with so much new lip balms. It's hard to get your hands on all of them.